Dunlop Tyres ANZ has continued its winning run with the Virgin Australia Supercars Championship, extending its role as the official control tyre supplier of Australia’s premier motorsport championship through to the end of the 2019 season. 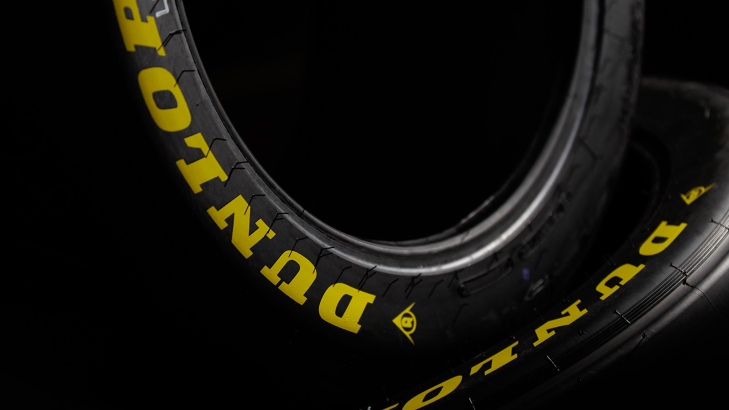 Currently in its 15th year as the exclusive tyre supplier to both the Virgin Australia Supercars Championship and the Dunlop Development Series, Dunlop will have supplied around 210,000 control tyres by the end of the 2016 season. With the new contract extension in place, this tyre supply is set to increase to around 250,000 by 2019’s end and mark an 18-year partnership with the Supercars. “This is a really exciting win for Dunlop," said Lou Mandanici, Vice President Consumer PBU & Wholesale ANZ. "We have a proud and well-established association with motorsport in Australia and our long standing partnership with the Virgin Supercars Championship, Australia’s premier motor racing category, is testament of our strong relationship and their confidence in Dunlop to deliver tyres to the highest performance standard. “Our commitment to technology, performance, quality and innovation has stood us above competitors and enabled us to continue providing the tyres for the Championship. As one of the world’s leading manufacturers of innovative tyre designs and high performance sports tyres, Dunlop will introduce a new specification tyre next year to further improve the Supercars racing experience for both the drivers and spectators. It is this innovative technology that Dunlop develops for Supercars that is incorporated in its Passenger and Sports Performance tyres for Australian roads. Since 2002, Dunlop has exclusively supplied the Supercars Championship Series control tyres, which are manufactured at the company's specialised racing tyre factory in Japan. Supercars Australia Chief Executive James Warburton said: “Dunlop is one of our longest running partners and is an integral part of the best touring racing on the planet. 2015 Virgin Australia Supercars Champion Mark Winterbottom welcomed news that Dunlop would continue as the tyre supplier to the 26-car Supercars field. “I’ve raced on Dunlop control tyres for my whole Supercars career. Across those years, the relationship between Supercars and Dunlop has seen the quality of the tyres increase with each season, and the racing get better and better as a result,” said Winterbottom.